The conventional floral design and ever-lasting black and white colour options of this chunky cupboard knob are glamorized by the multiple layers of lacquer, giving the item an extra glossy finish. Complete your kitchen or bathroom furniture with this study, well sized, simple yet attractive cupboard knob. 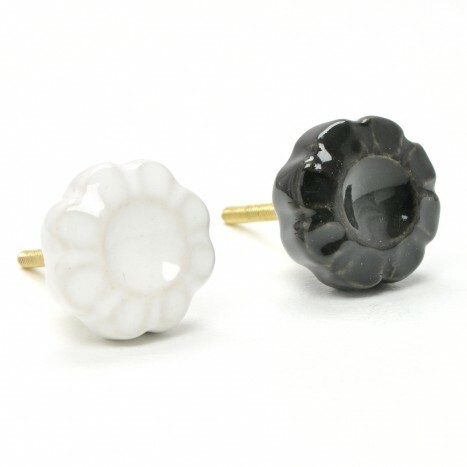 Tags: black and white ceramic knobs, simplistic cupboard knobs, classic ceramic knobs, minimalist cupboard knob designs, flower ceramic cupboard knobs, classic black and white cupboard knobs, ceramic knobs in black and white for wardrobes.